Ride into adventure! 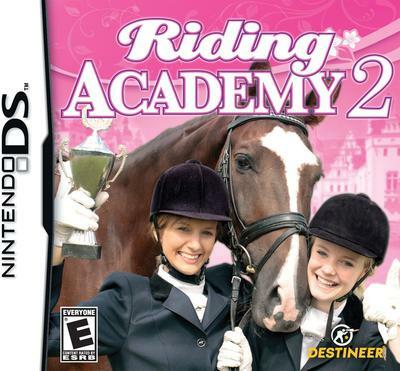 In Riding Academy 2, you step into the shoes of Pauline, a student at the nation's top riding school. Spend your summer days caring for your horse, training with the best coaches, and filling your shelf with trophies from renowned tournaments! But something is amiss at the Academy.... and it's up to you to investigate its recent string of problems, and get to the bottom of who's responsible before it's too late. i have finished it a lot of times, it is fun. uh i'm not american and i don't know what any of these prices are so please can u tell me what $18.74 is in uk currency? Thank u! This Game Is Great!!! But, You Definitely Have To Be Smart And Figure Things Out!! Lots Of Fun! !